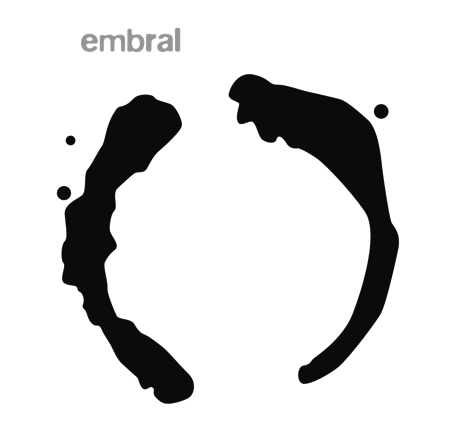 embral is the duo of Adam Holquist (Erie, PA) and Charles Shriner (Indianapolis, IN). Beginning in 2012, the pair have released three critically acclaimed studio albums, eight live albums and given over 100 live performances, first under their combined solo monikers of onewayness + dRachEmUsiK, and continuing from 2017 as embral. Their music is often improvised and draws influence from a variety of musical and non-musical sources. A fourth studio album will be released Spring of 2019. "Shriner and Holquist managed to produce a dynamic and demanding compilation of explosive tensions, abstract elements, and hypnotic waves that simply draw the listener in completely, captivating both the ear and the mind." "Think Pink Floyd’s Ummagumma without the LSD-induced mania or The Orb without the driving house music beats." "I’ve said a lot about this disc, more than I usually do, and that’s because there’s so much going on. These are depths to be plumbed in close listens. There’s a lot happening and a ton of feeling lacing through the mix. Onewayness and dRachEmUsiK (aka Adam Holquist and Charles Shriner) expertly manage this tenuous juggling act well, effecting the balance between easy and difficult listening. The Sound of Thunder is a disc you need to go into with an open mind. Do so, and it will likely win you over quickly." "...minimalist drone mixing electonic wind instruments and synthesis, acoustic guitar and bass to haunting and transcendental effect."